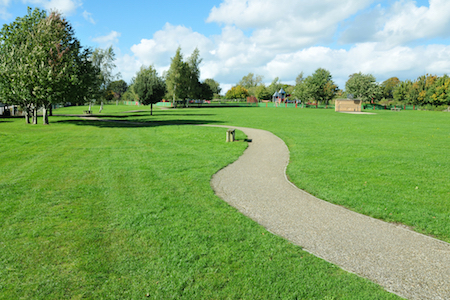 How can OS Open Greenspace help asset management and grounds maintenance teams? Ordnance Survey have recently released a new open dataset named OS Open Greenspace to encourage the use of our green spaces. We investigate how this new map data can aid asset management and assist in the planning and costing of grounds maintenance. Having visited numerous businesses and public bodies to investigate their green space maps, it is clear that such information is often out-of-date or not in a usable format. A mixture of old paper records, scanned images and outdated GIS data is not uncommon. But when it comes to outsourcing grounds maintenance, resolving asset queries and calculating charges, an up-to-date digital green space map proves invaluable. The new OS Open Greenspace data from Ordnance Survey provides a free, categorised green space GIS layer for all of Great Britain. Although many public sector organisations may already have access to more detailed mapping data through the Ordnance Survey Public Sector Mapping Agreement (PSMA) or One Scotland Mapping Agreement (OSMA), many other non-public bodies (such as Housing Associations) do not. The OS Open Greenspace map data can be used as a basis for creating a spatial grounds maintenance or asset database that can be further enhanced through desktop or ground research. Online satellite imagery can be used in an office environment to further split the data into maintenance types such as paths, pitches, parking areas and flower beds, through the process of GIS data capture. You can also use the same method to add the locations of assets such as benches, play equipment and bins. Google’s ‘Street View’, panoramic views from positions along most streets in Britain, is also a useful visual reference. That just leaves any areas of any ambiguity that can be resolved with site visits. Having done most of the work already you can avoid expensive GPS surveys, validating your data by eye and taking any basic measurements of new features or of anything obscured in the satellite imagery and panoramic views. 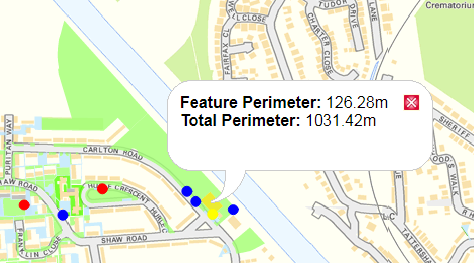 Your final GIS database can now be used to calculate areas and perimeters for contractors and any associated charges, create simple maps, resolve queries and plan events. The data can be used in conjunction with other open datasets from the OS, such as OS Open Map – Local, to put your data in context. If you don’t have a GIS or anyone who knows how to use one, then a GIS consultant can help build your spatial database, and a lightweight online viewer may be able to cover all the functionality you may require. Having a good accurate green space digital map does not have to be an expensive undertaking. Furthermore an online interactive map can mean staff from across an organisation can view and interrogate spatial green space information.